Spring is here and staff at Dumfries and Galloway Council museums in Dumfries, Annan and Sanquhar have been busy preparing for the 2019 season. New acquisitions have been added to the museum displays, exhibitions installed and a fun filled programme of family activities prepared for the Easter holidays. Annan Museum, Sanquhar Tolbooth Museum and The Old Bridge House open their doors for 2019 on Monday 1 April. On the same day Dumfries Museum and Camera Obscura, Robert Burns Centre and Robert Burns House change over to their extended summer opening hours. 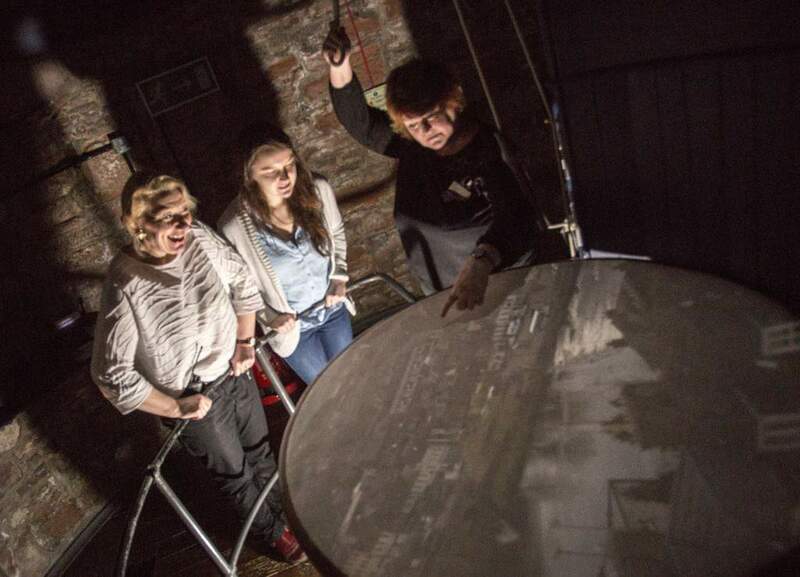 Staff at Dumfries Museum have their fingers crossed for fine weather so that they can show visitors magical views of the town and surrounding countryside on the projector table of the world’s oldest working camera obscura. For the Easter weekend children can hunt for fluffy ducklings at Dumfries Museum and sparkly Easter eggs at Annan Museum. During the spring school holidays there are drop in gallery activities available every day and free family activity sessions on Tuesday’s at Dumfries Museum and Thursday’s at Annan Museum. Special spring exhibitions include Roman Invaders in the Solway? at Dumfries Museum (6 April to 7 June) and Annan Amateur Art Club at Annan Museum (1 to 27 April). Yuri’s night on Thursday 12 April is the annual celebration of the first space flight made by Yuri Gagarin in 1961. Along with Dumfries Astronomy Society, Dumfries Museum is hosting a talk entitled ‘Crowdsourcing Novel Eclipse Science with Smartphones’ by Dr Hugh Hudson from the School of Physics and Astronomy, University of Glasgow. Full details of opening times, exhibitions and events can be found in the museums’ programme which is available to pick up at venues around the region. Museum Appeal – Dr Werner Kissling – Do You Remember?